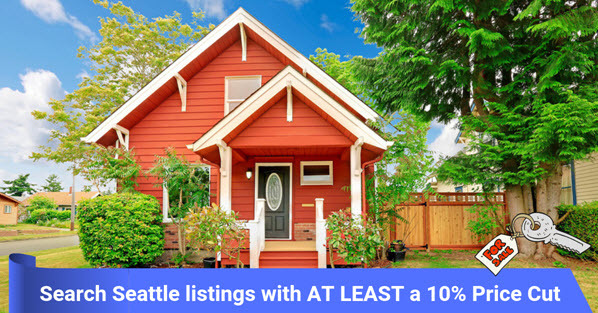 View all Seattle houses that have cut their list price by at least 10%. Are you tired of competing for Seattle homes? Well, here's a list of all the homes in the Seattle area that have cut their list price by AT LEAST 10%, some by more than that! That means that these owners are motivated to sell their homes and are more likely to be open to negotiating the sale price, repairs etc. You'll also have a better chance of avoiding competition from other home buyers. Below you can browse all the Seattle homes that are currently listed for sale that have cut the list price by AT LEAST 10%. You can refine the displayed results based on your price range, the number of days on the market, house size etc by using the REFINE RESULTS button or the SORT BY drop-down menu.